The 2017 Shaw Okanagan Dream Rally Presented By Auction World was an incredible success! On August 6, 2017, 200 exotic and luxury cars with 200 special child co-pilots in the passenger seats embarked on a rally unlike any other between Kelowna and Penticton, BC. Thanks to all of the incredible drivers, sponsors, volunteers as well as the support of our community, the 2nd Annual Okanagan Dream Rally was able to raise an amazing $193,000 with all funds directly supporting Autism Okanagan, KidSport Kelowna, and the Central Okanagan Hospice Association. August Luxury Motorcars couldn’t have been more proud to be a supporting partner of this incredible event. We hope to continue with our mission to help charities within the community who have helped touch locals throughout the Okanagan valley. As the Okanagan’s only rally of exotic cars and luxury vehicles, the Okanagan Dream Rally will touch many lives and hearts by giving the special attention and care to families in need on this fun-filled day touring the Okanagan in some of the most beautiful cars of the the valley. 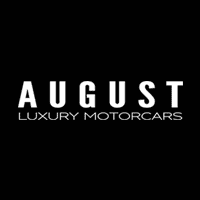 To sign up for event updates such as pre-registration news and other opportunities, visit www.okanagandreamrally.com or contact us at August Luxury Motorcars for more info!